Election officials extended voting by five hours due to Iranians' requests and enthusiasm for voting, The BBC said. Iranian President Hassan Rouhani will serve a second term after winning reelection by a landslide on Friday. Rouhani won 57 percent of the vote, according to Reuters, and his opponent, Ebrahim Raisi, won 38 percent. Raisi is a cleric like Rouhani and "in the 1980s he was one of four judges who sentenced thousands of political prisoners to death," said Reuters. Rouhani campaigned on his success with the U.S. nuclear deal in 2015, which was renewed under the Trump administration despite President Trump's opposition to it, said The BBC. Raisi supporters believe the nuclear deal favored the U.S., ABC reported. Rouhani is a moderate and reformist, said The Guardian, and Raisi is a conservative "hardliner," whose ideology is close to the Supreme Leader Ayatollah Ali Khamenei. Raisi is more religious in politics and believes he is a descendant of the prophet Muhammad, The Guardian said. Conservative supporters of Raisi wanted to return to the 1979 revolution era in which the Shi'ites and Supreme Leader had nearly absolute power over elected officials, said Reuters. 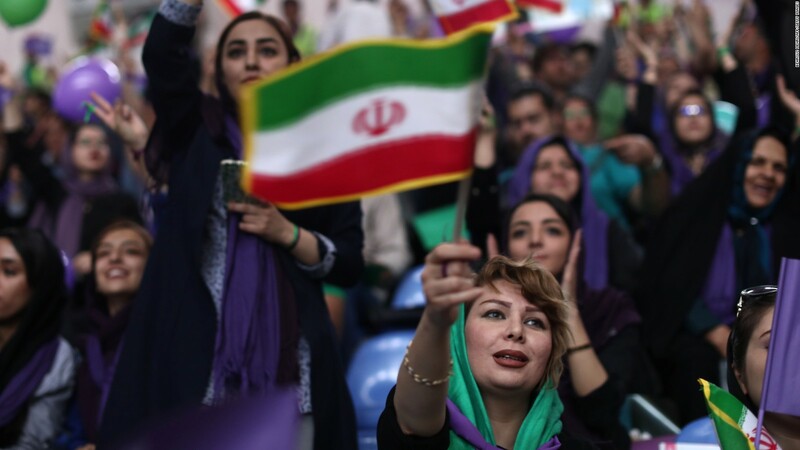 Iran's presidential elections had a record turnout with at least 70 percent of eligible voters casting a ballot, and more than five million voters - twice that of the 2013 turnout. Election officials extended voting by five hours due to Iranians' requests and enthusiasm for voting, The BBC said. The Guardian said it believes that fears of a Raisi presidency caused high voter turnout, including among political prisoners who cast their votes inside of a jail in Tehran.